Seminar Invitation: How can STEAM e-books engage students in reading across curriculum? AA Power APP is now available on iOS & Android! icing on the cake only? 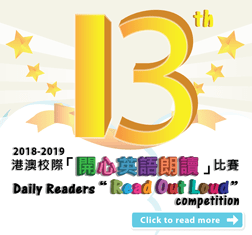 The 13th Daily Readers “Read Out Loud” Competition is now open for application! STEM learning made easy and fun seminar was successfully held! Ma On Shan Ling Liang Primary School 25th Anniversary Musical-The Blessings was successfully held! The 4th CNPIEC Cup National English Competition was a huge success! The 12th Daily Readers “Read Out Loud” Competition is now open for application! The Create MySmart Storybook Contest 2018 is NOW open for application! Smart Education’s 2017-18 Events Kick Off! Support Hong Kong Bookfair 2017! The 7th Smart Education Prize Giving Ceremony 2016-2017 was a huge success! Hong Kong E-textbook Association is now recruiting new members!!! MySmartEDU App is NOW available! 2016-17 GO English! Campaign has begun! Smart Education Prize Giving Ceremony 2015-2016 (Macau District) was successfully held! The 6th Smart Education Prize Giving Ceremony 2015-2016 (Hong Kong District) was successfully held! “Most Popular Performance” award winners are announced! 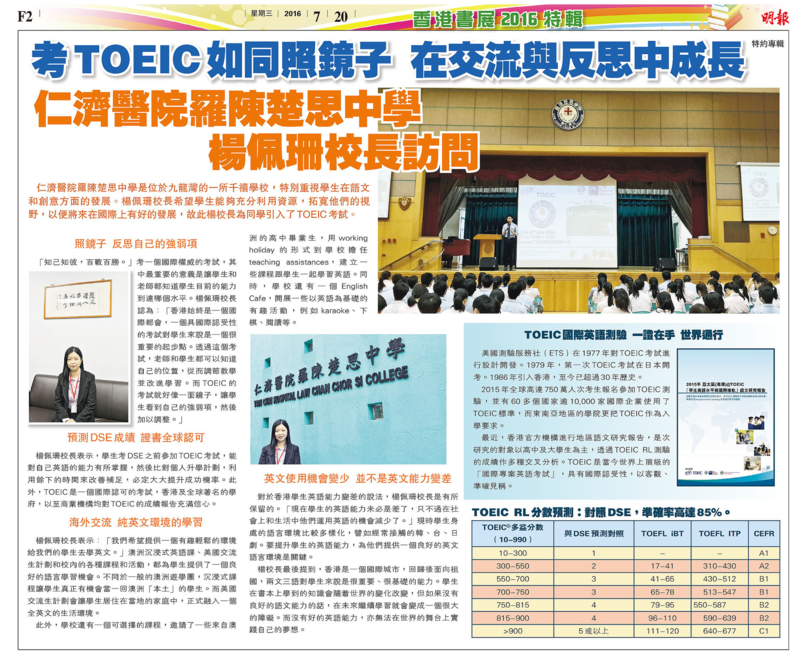 TOEIC Micro-film Competition is now open for voting! Vote for your favourite radio drama! MySmartABC little elites from Ho Chuen Yiu Primary School achieved success in English reading! train and promote qualified employees. 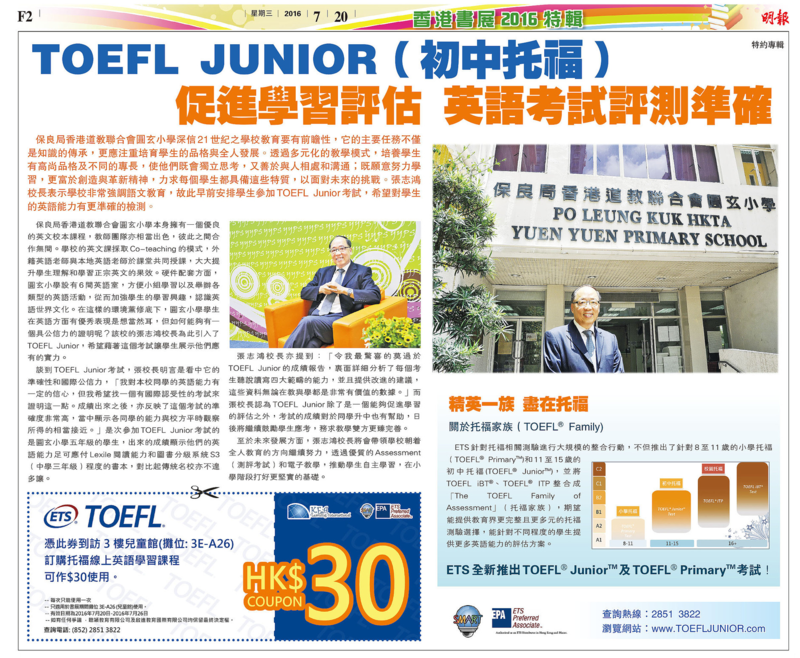 TOEFL ITP test has been regarded as the required test for Cheng Du’s educational institutions! Jiu Jik﹕Challenge what the future holds – study or work?? 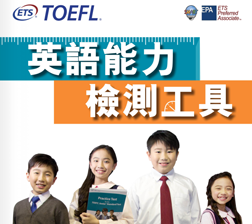 TOEFL® Test and TOEIC® Test Approved by U.K. Border Agency to Demonstrate English Proficiency for Visas in the U.K.